LL Bean Buck, October 2008. I procrastinated. The winter slowly meandered towards spring, but was constantly set back a few rainy days. Just as I grew accustomed to evening walks through Central Park, back to back days of biblical rain checked my seasonal optimism. 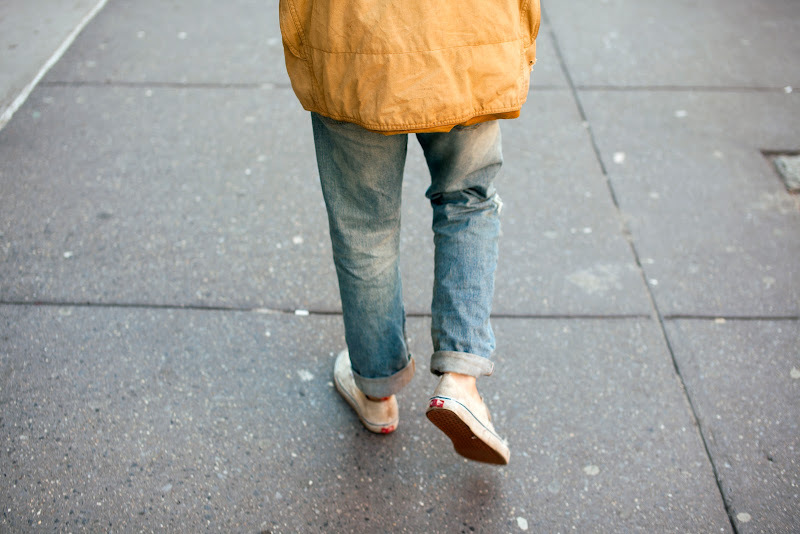 Paul Smith Canvas Sneaker, January 2009. So, I waited and pondered which shoe to use. 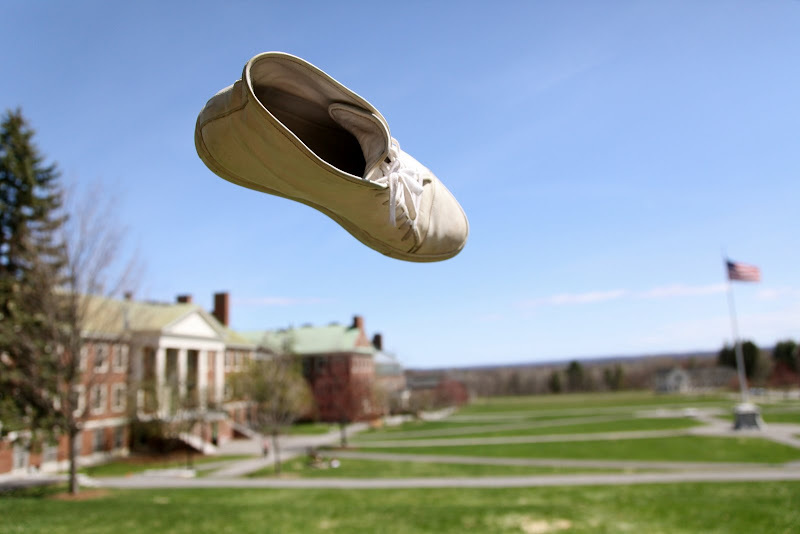 Common Projects sneaker, April 2009. Scroll through the photos quickly. It looks like a stop motion film, with all of the shoes skewed towards the left. I still have these things stuffed in a closet. They smell like the plague. 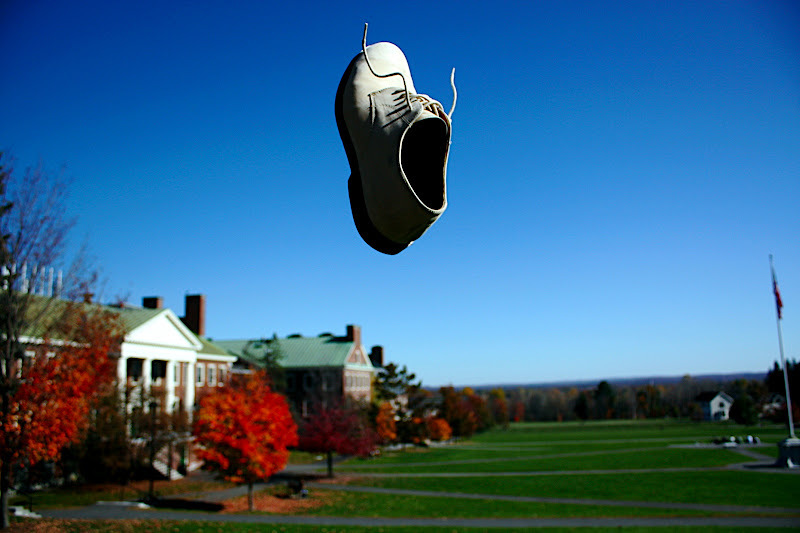 Ralph Lauren Wingtip, October 2009. In the past, my selection has been traditional, with some of my favorites being a Buck, a Brogue and a Danner boot. However, since leaving Maine and moving to New York, my taste has changed. Partially due to my days spent surrounded by the "American Heritage" aesthetic, recently I have started appreciating more pragmatic, purpose-driven items. British Walker Buck, April 2010. Instead of carrying around my camera and laptop in a vintage backpack, I bought a GoRuck Gr1 (partially in my preparation for the GoRuck Challenge in Boston). I also opted for a technical down jacket over a wool coat on my Saturday morning walks. 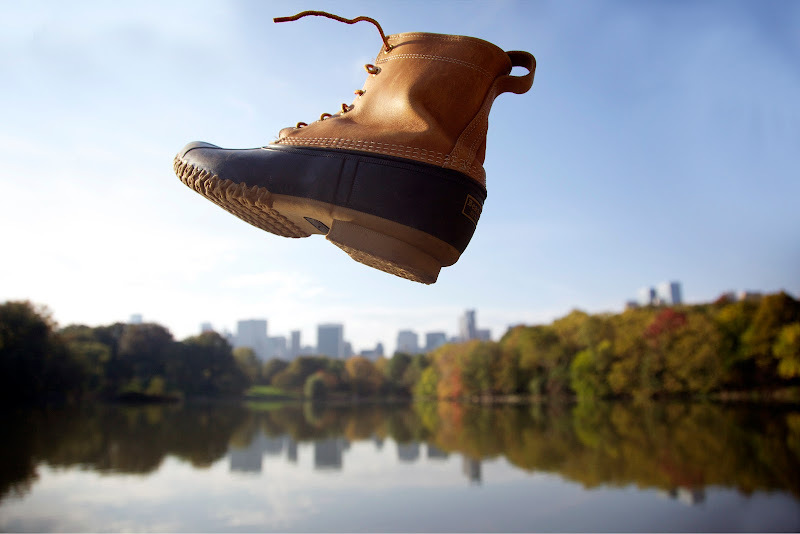 LL Bean Boot, October 2010. You won't see me in Crocs or zip off nylon shorts anytime soon. 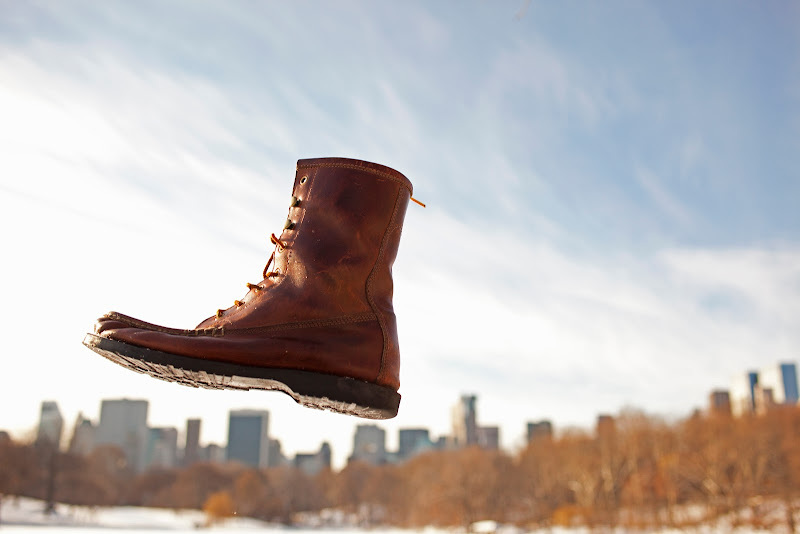 LL Bean Signature Work Boot, January 2o11. But instead of hunting eBay for vintage Omega, I have been poking around looking at contemporary Sinn's and Luminox's. 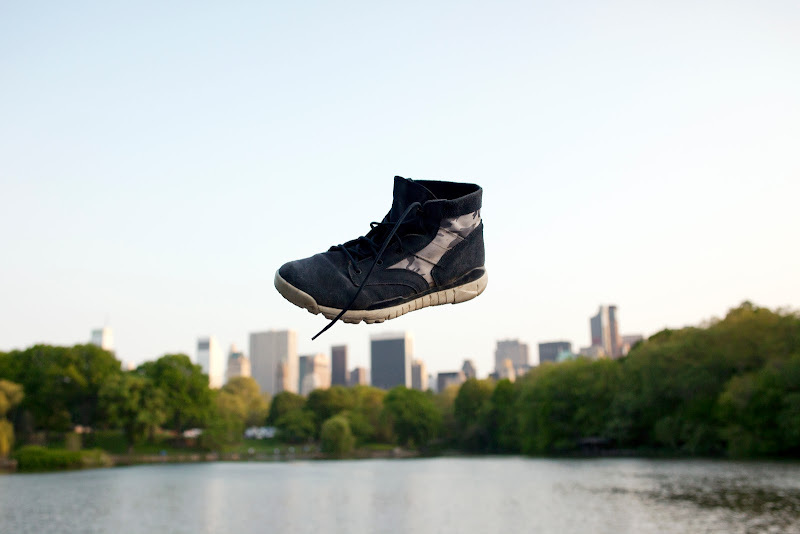 Finally, spring stayed around long enough for me to grab my camera and my Nike SFB chucka and head to Central Park. As the sun set, I sat reflecting the evolution of my taste over the last three years and pondering where it would be in the next three. Setting the ISO and aperture to 1600 and 4.5, respectively, I threw my shoe in the air the way I have for the last 10 seasons. Break out the Vans and lose the socks. With the Ides of March passed, Spring looms in the not so distant future. After a winter of snowstorms and cold rain, I am looking forward to the season change like an eight-year-old to the ball pit at McDonalds. I am swamped with work and preparing for a week long trip back to Nicaragua.